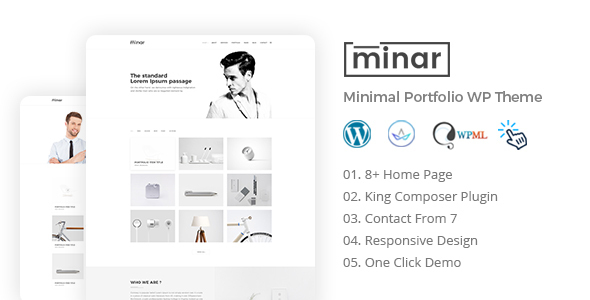 Minar is high quality creative theme with great style and clean code. Minar can be used for many purposes starting from minimal portfolios, agencies, freelancers and much more. Template is created and tested in all devices and works perfectly without a single issue.